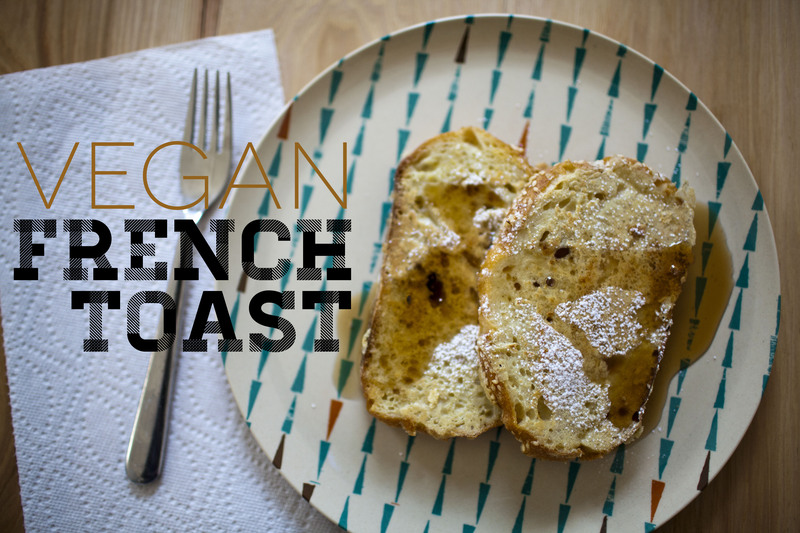 French toast without eggs? How is it so?? Oh, the magic wonders of chickpea flour! This recipe comes from one of my cooking/baking bibles: Vegan with a Vengeance. Loaf of italian or french bread, or slices of bread, preferably stale. Slice bread into 1 inch rounds, if using loaf bread. Pour the soymilk into a large, shallow bowl. Mix in the cornstarch and stir until dissolved. Add the chickpea flour and dash of cinnamon until mostly absorbed. Heat a non-stick skillet over medium heat and spray the pan with a little bit of oil. Soak the bread slices in the mixture and transfer to the pan. Cook each side about two minutes, or until starting to brown. Serve immediately, topped with bananas, sugar, powdered, sugar, maple syrup, etc! Enjoy! my 20’s summed up in a shadow box. Many many days of my 20’s were spent at the fireside bowl. It was there that I saw many many bands and shows that will forever be some of my best memories. I don’t have many of the tshirts anymore I collected from these days, but I still have all these buttons that used to be plastered all over my backpack in college. Now, they just sit in a drawer, collecting dust. I picked up a shadow box at ikea for $9.99 this weekend and hot glued them to a piece of cardstock. 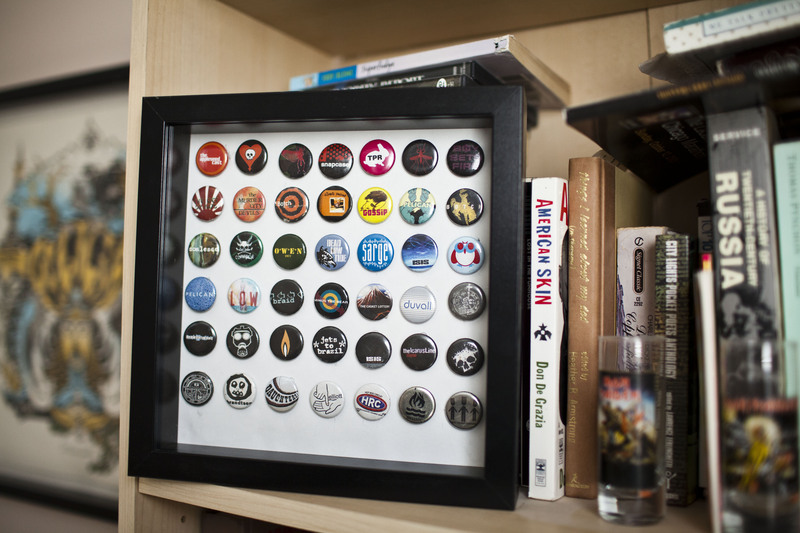 Now I have a way to display them and remember the good times! 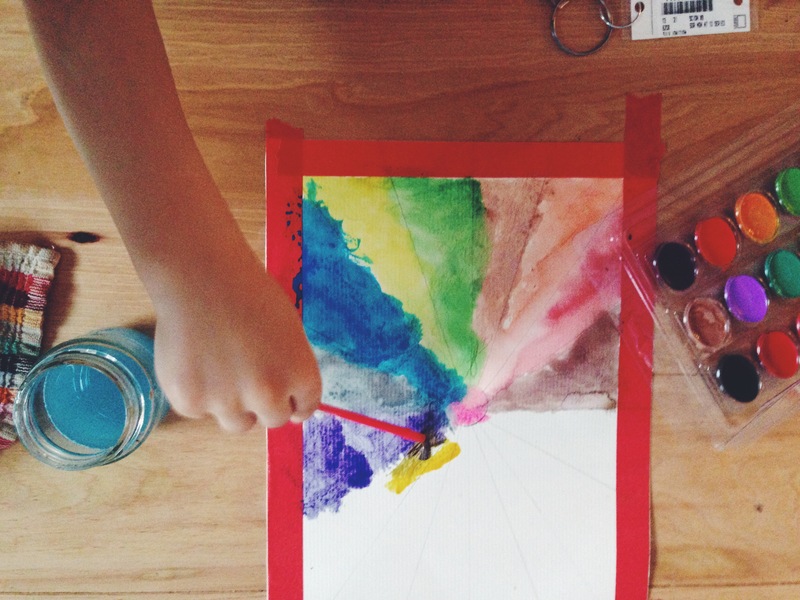 Milo had been gifted with some new watercolors from santa this past christmas so I scoured pinterest to find some uses for them. 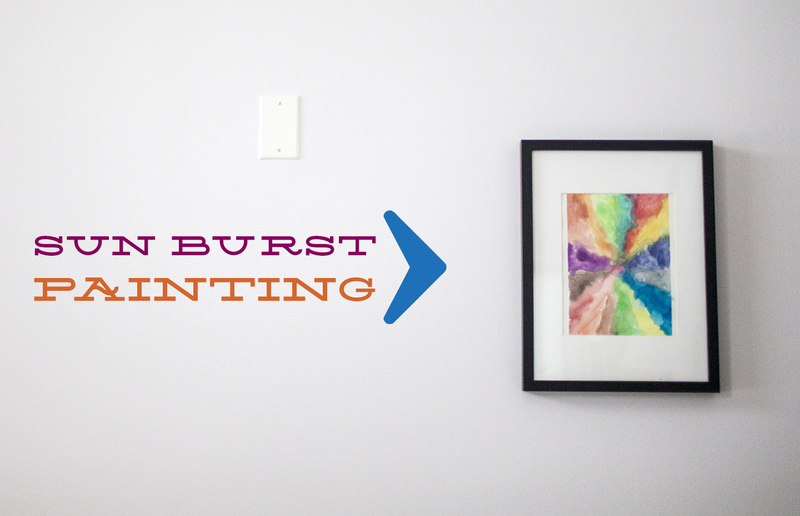 I came across these DIY Sunburst paintings and I thought this could be a fun little project for him. When I showed it to him, he frowned and said “oh, that’s hard.” But then I told him its kind of just like coloring in the lines, but with paint! He agreed to work on one and we went to town on it. I took a look at the drawing on the blog, and tried to replicate something like that using a pencil. I outlined the edge with washi tape, so he didn’t paint onto the table. Our version is a bit bigger than the ones she made because I thought it would be easier for Milo to paint. 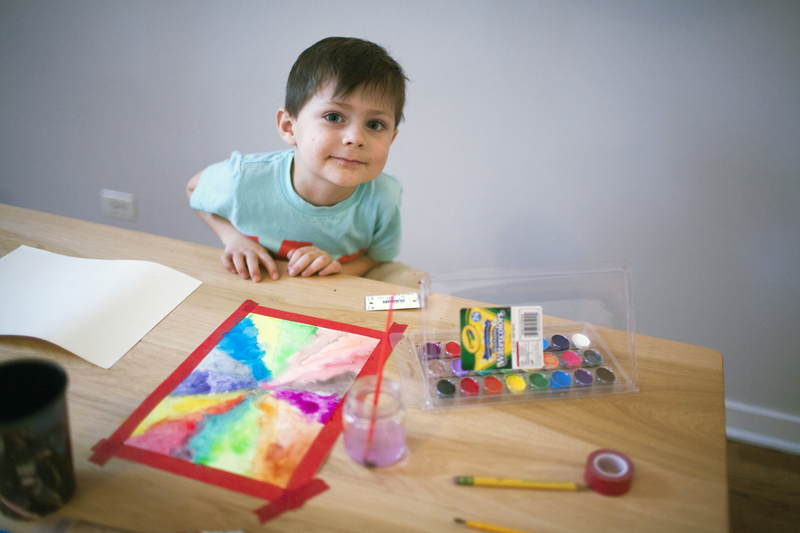 I showed him how to use the watercolors and how to paint within the lines. We had fun picking all the colors and seeing how the blend together. The blending part was VERY cool to him! We let it dry, then I erased all the pencil lines and removed the washi tape. I hung it up with milo’s other works of art – and every time I would pass it I would smile…After one day of staring at it, I knew it needed a frame. This was too pretty! Now its hanging in our kitchen and I’m super proud of my little guy’s beautiful painting. I definitely see some more of these in our future. peanut butter banana yeast bread. You had me at peanut butter and banana. Baked into a bread?! Is there any better way to eat toast than with peanut butter and banana? This is going to be so great for breakfast. Or as a peanut butter and jelly sandwich! Oooh, or as french toast possibly?! This also was great because it doesn’t call for too many ingredients, and for a raised bread recipe, the resting time was pretty short! I found the recipe here. Whisk the water, yeast, and sugar together. Set aside for 10 minutes, or until foamy. Meanwhile mix the remaining ingredients in the bowl of your stand mixer. Add yeast mixture and knead with the dough hook until the bowl is clean. If the dough is sticky, (mine was) add more flour a tablespoon at a time ( I had to keep adding to mine quite a bit) until well-mixed, pliable, and lovely. Transfer to a medium bowl and cover with a tea towel. Allow to rise for 45-60 minutes. Transfer to a greased bread pan and allow to rise for 30 minutes or until the loaf is just peaking over the sides. Meanwhile, preheat oven to 325F. 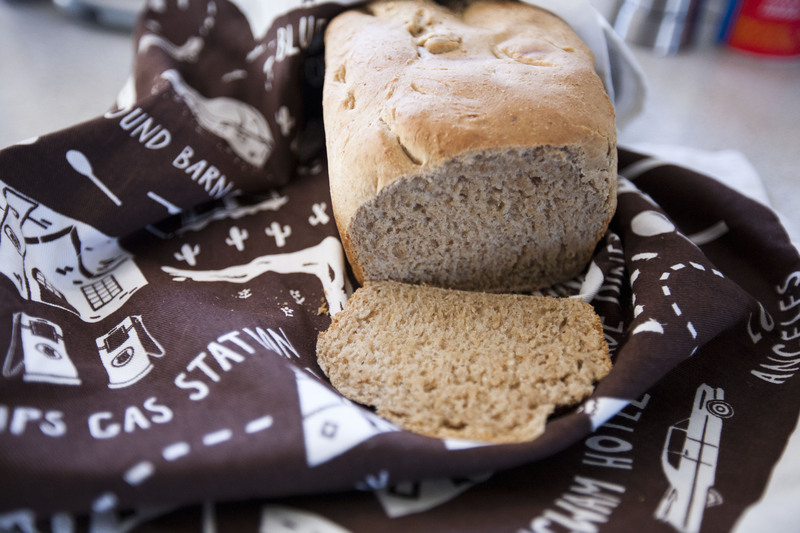 Bake bread for 35-45 minutes or until sounds hollow when tapped and is nice and dark on top. Remove from pan and cool completely. Slice and serve toasted with more peanut butter and bananas or simply butter, honey, and sea salt. 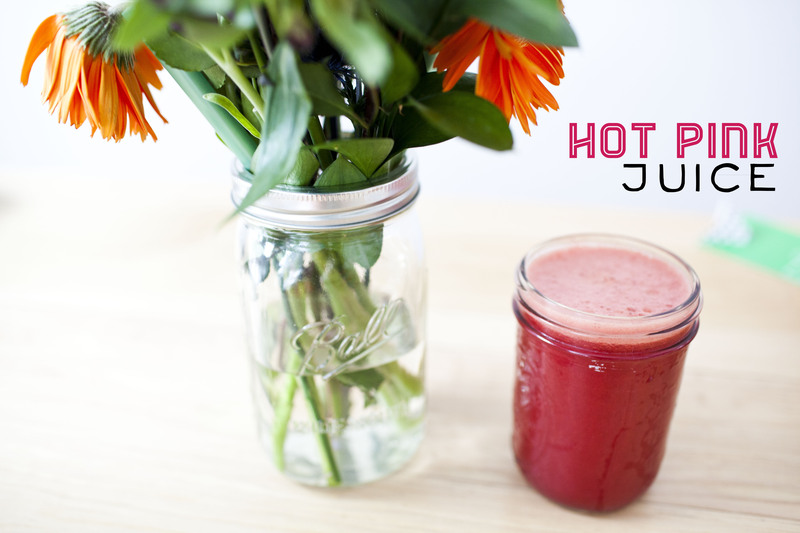 I wrapped up this valentines weekend with a hot pink juice. It was delicious! *update! I made this juice AGAIN last night and subbed an orange for the grapefruit. YUUUUM. right amount of sweetness. this time I did 1 apple, 1 orange, 1/2 a beet and 3 carrots. Perfect for one post-work out serving. My child LOVES pop tarts. He’s never had an actual REAL pop tart, for the fear this would blow his mind and it would be ALL he wanted to eat (plus, I think they may have milk in them?). He has had the organic kind we find at trader joes, and the unfrosted ones are vegan. These are his favorite breakfast ever. If he could have chocolate chip pancakes in the shape of mickey mouse with extra chocolate chips and tons of soy-whip, or pop tarts – the kid would DEFINITELY pick the pop tarts. He wants pop tarts as soon as he wakes up, he wants them for dinner, he wants them AFTER dinner. He’s pop tart crazy. Just because these are organic and from trader joes though, DOES NOT necessarily mean these are good for him. They are loaded with sugar. I dont think they are the most terrible thing for him to eat, but after eating two pop tarts thats about 40 grams of sugar. EEEK. One friday night i was feeling adventurous so I thought I’d take a stab at making some of my own pop tarts and see what he thinks of these. I scoured the internet and found many recipes – but went with smitten kitchen since she’s a pretty reliable source of good recipes. I followed this recipe here. Im not sure these are any lower in sugar, BUT at least I had some control over what exactly went into them. I made apricot and blackberry flavored pop tarts and I got alot of flack on instagram for not putting frosting on them! I did sprinkle the tops with sugar – two hours of making pop tarts left me tired – I had no energy for frosting this time around. Plus, I was trying to keep these on the healthier side. 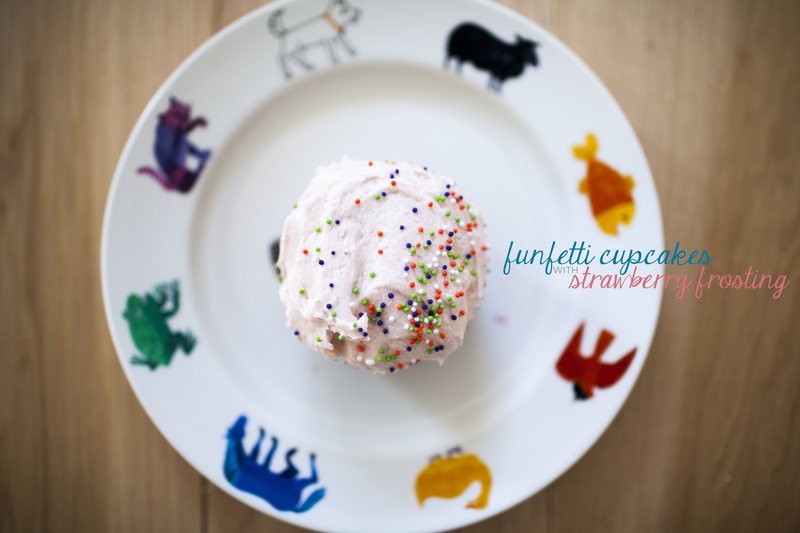 There will be frosting next time. Milo really really enjoyed these. 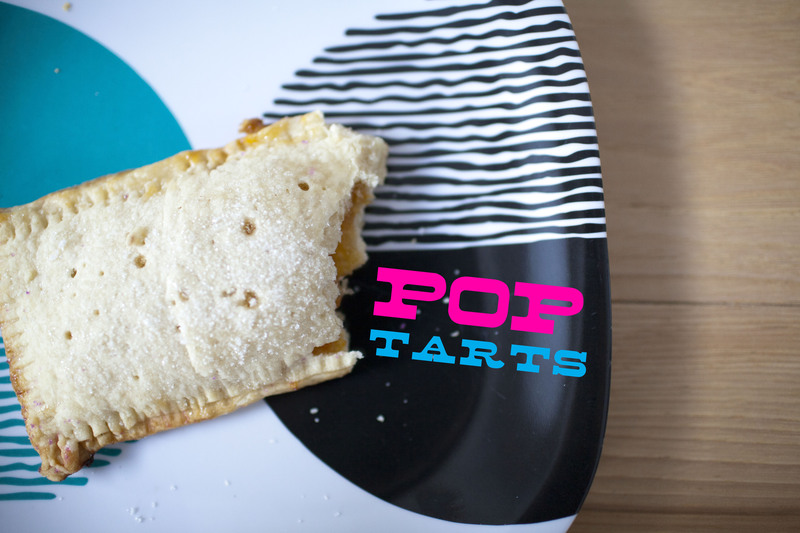 I dont particularly think they tasted like pop tarts – more like pop-pastry or mini hand pies. However, he didn’t really know the difference and at least all that hard work got appreciated and enjoyed! Mix the jam with the cornstarch/water in a small saucepan. Bring the mixture to a boil, and simmer, stirring, for 2 minutes. Remove from the heat, and set aside to cool. Use to fill the pastry tarts. for the dough: Whisk together the flour, sugar, and salt. Work in the butter with a pastry blender until small lumps of butter are still visible, and the mixture holds together when you squeeze it. Whisk the egg replacer and milk together and stir them into the dough, mixing just until everything is cohesive, kneading briefly on a well-floured counter if necessary. Divide the dough in half, shape each half into a smooth rectangle, about 3×5 inches. Place one piece on a lightly floured work surface, and roll it into a rectangle about 1/8″ thick, large enough that you can trim it to an even 9″ x 12″.Cut each piece of dough into thirds – you’ll form nine 3″ x 4″ rectangles. Brush the dough with a little bit of almond milk. This will be the “inside” of the tart; the almond milk is to help the top piece adhere. Place a heaping tablespoon or so of filling into the center of each rectangle, keeping a bare 1/2-inch perimeter around it. Place a second rectangle of dough atop the first, using your fingertips to press firmly around the pocket of filling, sealing the dough well on all sides. Press the tines of a fork all around the edge of the rectangle. Repeat with remaining tarts. Gently place the tarts on a lightly greased or parchment-lined baking sheet. Prick the top of each tart multiple times with a toothpick; you want to make sure steam can escape, or the tarts will become billowy pillows rather than flat toaster pastries. Refrigerate the tarts (they don’t need to be covered) for 30 minutes, while you preheat your oven to 350°F. 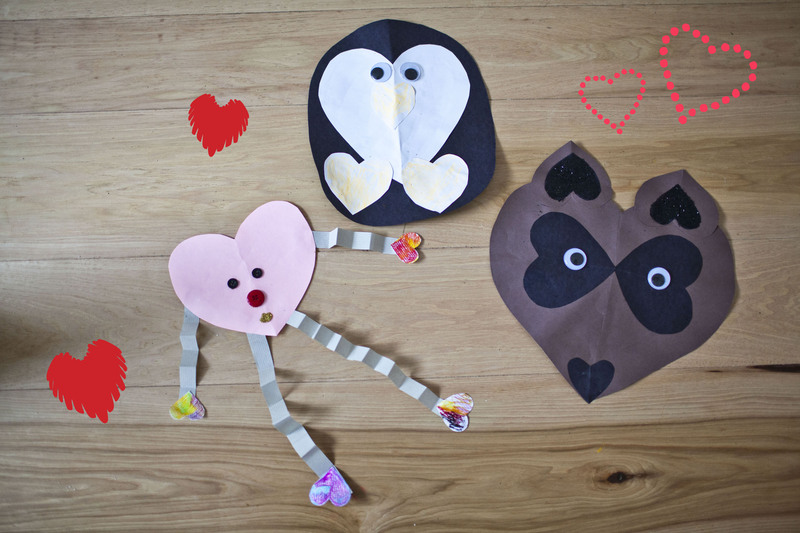 Taking some inspiration from pinterest, Milo and I made these valentines paper crafts during a case of cabin fever. I did the cutting, he did the gluing. Valentines day is a week away! 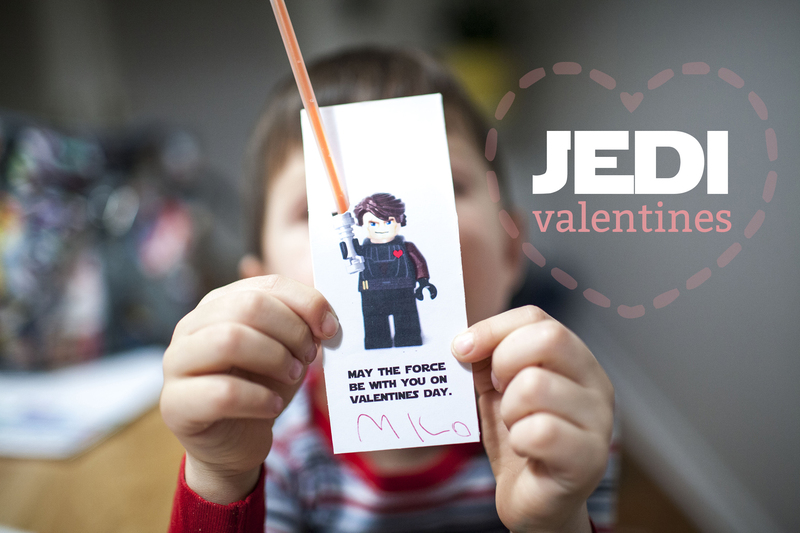 But we got a head start on making these valentines for Milo’s class. I found a template online here; but being the design-nerd I used that as my starting point and created my own. I just cut out the jedi guy and pasted into my own template in Illustrator, then used this font to type out the message. I put four on a 8.x5x11 page, print and cut them out. We found the glowsticks at target in the dollar section. I cut a hole with my x-acto blade to accomodate for the glow stick and use a piece of washi tape on the backside to hold it down. We put these in a little gift bag (also from the dollar section at target) with some fruit snacks and now Milo has a sweet little, homeade valentine to give to all his friends! First prepare your tofu. Preheat your oven to 400 degrees. Slice tofu into about 1 inch thick strips and place on a baking sheet. Bake for 15 minutes and then flip, baking for about 10 minutes more. When cooled, cut into 1 inch squares. Set aside. Clean and chop all of your veggies; set aside. Prepare your udon noodles according to package directions; set aside. 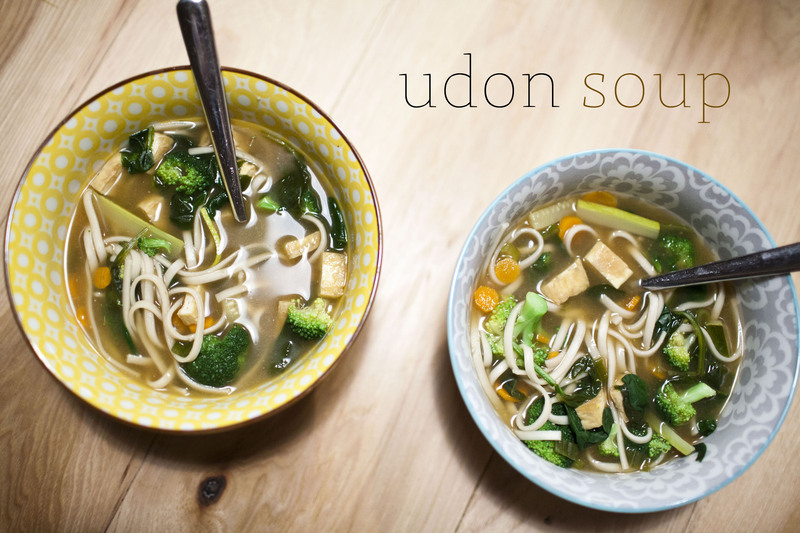 Ladle into bowls and serve with Japanese seven spice to give it a little heat!